Every day, our favorite Hollywood actors, actresses, musicians and supermodels take to the streets, and every day, fashion bloggers ready themselves at their keyboards to document the latest celebrity styles. It’s a given that what famous people wear impacts the mannequin displays at our favorite stores and the outfits we see others wearing. There are, however, a few celebrities who seem to not only epitomize the latest trends, but also set new ones. Here are some of the biggest names in Hollywood street style. Daughter of one of the Real Housewives of Beverly Hills and Zayn Malik’s other half, Gigi Hadid has quickly established herself as both an up-and-coming supermodel and a connoisseur of style. Her outfits give classic silhouettes a bit of an edge, resulting in a modern and daring look all her own. Ever since her debut as Gabriella Montez in the Disney Channel movie High School Musical, Vanessa Hudgens has expanded her presence in the film and music industries as well as the world of fashion. A combination of boho, hippie and a bit of grunge, her style makes her stand out from the pack. Another Disney Channel alum, Zendaya is also known for her musical talents, for being an activist and role model for young women, and for her amazing sense of style. She often experiments with different looks, dressing in lavish, elegant attire one day and an edgy, urban outfit the next. Regardless of how she dresses, Zendaya looks fantastic in everything. This Victoria’s Secret model and PINK spokeswoman knows how to own her style both on and off the runway. Like Zendaya, Alessandra also tries out different styles. Sometimes her looks are more minimalistic; other times, they have a vintage or ‘90s quality to them; and still other times, she goes all out with patterns and textures. She is an especially fun celebrity to follow because you don’t know what she will wear next! So we can stand under her umbrella, but the real question is, can we stand in Rihanna’s closet? 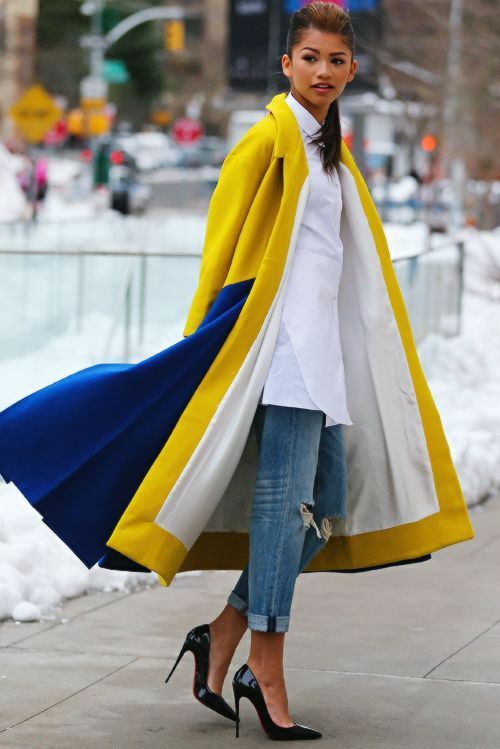 Her outfits are bold as far as street style goes, and she can pull off looks that not many other people could. Wherever she goes, Rihanna always stands out from the crowd (and in the best possible way). The pop singer and former Nickelodeon star has an impressive vocal range and sense of fashion. Her style is the perfect combination of elegant and girly, and she sometimes incorporates a hint of retro or vintage as well. Her outfits look like they came straight from a Bratz doll’s closet, and you can’t help but smile when you see them. While the entire Kardashian-Jenner family is undoubtedly stylish, its youngest two sisters are fashion standouts. As one might expect, they have completely different styles. Kendall’s outfits are similar to those of her gal pal Gigi’s, giving a modern twist to classic silhouettes. Meanwhile, Kylie goes for more casual looks or experiments with bold colors, fabrics and textures. In the end, their fashions are different but complementary, and together they are a style tour de force.